The common phrase Trail of Tears refers to the forced relocation of the Cherokee Native American tribe to the Western United States in 1838-39, which resulted in the deaths of an estimated 4,000 Cherokee Indians. In the Cherokee language, the event is called Nunna daul Isunyi - "the Trail Where We Cried." The Trail of Tears resulted from the enforcement of the Treaty of New Echota, an agreement signed under the provisions of the Indian Removal Act of 1830, which exchanged Native American land in the East for lands west of the Mississippi River. The Treaty of New Echota was signed by a small faction of prominent Cherokees, but was never accepted by the elected tribal leadership or the majority of the Cherokee people. Nevertheless, the treaty was enforced by President Martin Van Buren, who sent federal troops to round up about 17,000 Cherokees in camps before being sent to the west. Most of the deaths occurred from disease in these camps. After the initial round up, the U.S. military played a limited role in the journey itself, with the Cherokee Nation taking over supervision of most of the emigration. 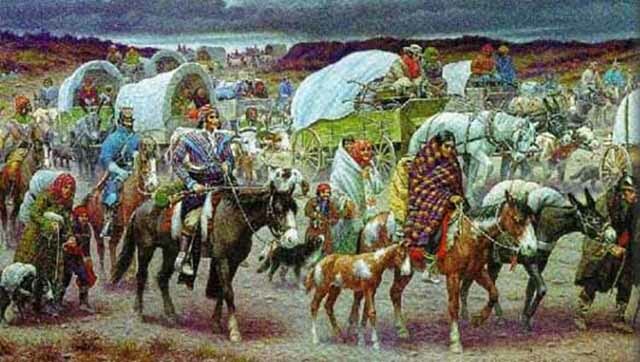 The Cherokees were not the only Native Americans forced to emigrate during this era, and so the phrase "Trail of Tears" is sometimes used to refer to similar events endured by other Indian peoples, especially among the "Five Civilized Tribes." In fact, the phrase "Trail of Tears" may have originated as a description of the removal of the Choctaw nation. These tensions between Georgia and the Cherokee Nation were brought to a crisis by the discovery of gold near Dahlonega, Georgia in 1829, resulting in the first gold rush in U.S. history. Hopeful gold speculators began trespassing on Cherokee lands, and pressure began to mount on the Georgia government to fulfill the promises of the Compact of 1802. When Georgia moved to extend state laws over Cherokee tribal lands in 1830, the matter went to the U.S. Supreme Court. In Cherokee Nation vs. Georgia (1831), the Marshall court ruled that the Cherokees were not a sovereign and independent nation, and therefore refused to hear the case. However, in Worcester vs. State of Georgia (1832), the Court ruled that Georgia could not impose laws in Cherokee territory, since only the national government - not state governments - had authority in Indian affairs. President Andrew Jackson has often been quoted as defying the Supreme Court with the words: "John Marshall has made his decision; now let him enforce it!" Jackson probably never said this, but he was fully committed to the policy of Indian removal. Jackson had no desire to use the power of the national government to protect the Cherokees from Georgia, since he was already entangled with states' rights issues in what became known as the nullification crisis. With the Indian Removal Act of 1830, the U.S. Congress had given Jackson authority to negotiate removal treaties, exchanging Indian land in the East for land west of the Mississippi River. Jackson used the dispute with Georgia to put pressure on the Cherokees to sign a removal treaty. With the landslide reelection of Andrew Jackson in 1832, some of the most strident Cherokee opponents of removal began to rethink their positions. Led by Major Ridge, his son John Ridge and nephews Elias Boudinot and Stand Watie, they became known as the "Ridge Party", or the "Treaty Party". The Ridge Party believed that it was in the best interest of the Cherokees to get favorable terms from the U.S. government, before squatters, state governments, and violence made matters worse. John Ridge began unauthorized talks with the Jackson administration in the late 1820s. Meanwhile, in anticipation of the Cherokee removal, the state of Georgia began holding lotteries in order to divide up the Cherokee tribal lands among white Georgians. 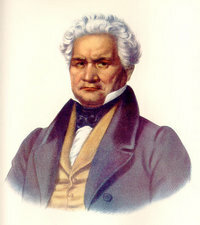 However, elected principal Chief John Ross and the majority of the Cherokee people remained adamantly opposed to removal. Political maneuvering began: Chief Ross cancelled the tribal elections in 1832, the Council impeached the Ridges, and a member of the Ridge Party was murdered. The Ridges responded by eventually forming their own council, representing only a fraction of the Cherokee people. 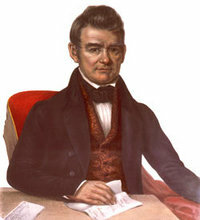 Both the Ross government and the Ridge Party sent independent delegations to Washington.In 1835, Jackson appointed the Reverend John F. Schermerhorn as a treaty commissioner. The U.S. government proposed to pay the Cherokee Nation 4.5 million dollars (among other considerations) to remove. These terms were rejected in October 1835 by the Cherokee Nation council. Chief Ross, attempting to bridge the gap between his administration and the Ridge Party, traveled to Washington with John Ridge to open new negotiations, but they were turned away and told to deal with Schermerhorn. Meanwhile, Schermerhorn organized a meeting with the pro-removal council members at New Echota. Only five hundred Cherokees (out of thousands) responded to the summons, and on December 30, 1835, twenty-one proponents of Cherokee removal, among them Major Ridge and Elias Boudinot, signed or left "X" marks on the Treaty of New Echota. John Ridge and Stand Watie signed the treaty when it was brought to Washington. Chief Ross, as expected, refused. The signatories were violating a Cherokee Nation law drafted by John Ridge (passed in 1829) which had made it a crime to sign away Cherokee lands, the punishment for which was death.Not a single official of the Cherokee Council signed the document. This treaty gave up all the Cherokee land east of the Mississippi. Despite the protests by the Cherokee National Council and principal Chief Ross that the document was a fraud, Congress ratified the treaty on May 23, 1836, by just one vote. A number of Cherokees (including the Ridge party) left for the West at this time, joining those who had already emigrated. By the end of 1836, more than 6,000 Cherokees had moved to the West. More than 16,000 remained, however, and the terms of the treaty gave them two years to leave. The protests against the Treaty of New Echota continued. In the spring of 1838, Chief Ross presented a petition with more than 15,000 Cherokee signatures, asking Congress to invalidate the treaty. Many white Americans were also outraged by the dubious legality of the treaty, and called on the government not to force the Cherokees to move. For example, on April 23, 1838, Ralph Waldo Emerson wrote a letter to Jackson's successor, President Martin Van Buren, urging him not to inflict "so vast an outrage upon the Cherokee Nation." Nevertheless, as the May 23, 1838 deadline for voluntary removal approached, President Van Buren assigned General Winfield Scott to head the forcible removal operation. He arrived at New Echota on May 17, 1838, in command of about 7,000 soldiers. Soldiers began rounding up Cherokees in Georgia on 26 May 1838; ten days later operations began in Tennessee, North Carolina, and Alabama. About 17,000 Cherokees - along with approximately 2,000 black slaves owned by wealthy Cherokees - were removed at gunpoint from their homes over three weeks and gathered together in camps, often with only the clothes on their backs. They were then transferred to departure points at Ross's Landing (Chattanooga, Tennessee) and Gunter's Landing (Guntersville, Alabama) on the Tennessee River, and at the Cherokee Agency on the Hiwassee River (Calhoun, Tennessee). From there, they were sent to the Indian Territory, mostly travelling on foot, or by some combination of horse, wagon, and boat, a distance of around 1,200 miles along one of three routes. The camps were plagued by dysentery and other illnesses, which led to many deaths. After three groups had been sent on the trail, a group of Cherokees petitioned General Scott for a delay until cooler weather made the journey less hazardous. This was granted, and meanwhile Chief Ross, finally accepting defeat, managed to have the remainder of the removal turned over to the supervision of the Cherokee Council. Although there were some objections within the U.S. government because of the additional cost, General Scott awarded a contract for removing the remaining 11,000 Cherokees to Chief Ross. The Cherokee-administered marches began on August 28, 1838, and consisted of thirteen groups with an average of 1,000 people in each. Although this arrangement was an improvement for all concerned, disease still took many lives. The number of people who died as a result of the Trail of Tears has been variously estimated. The official government count at the time was 424 deaths; an American doctor who traveled with one party estimated 2,000 deaths in the camps and 2,000 on the trail; his total of 4,000 deaths remains the most cited figure. A scholarly demographic study in 1973 estimated 2,000 total deaths; another in 1984 concluded that a total of 8,000 people died. During the march, it is said that the people would sing Amazing Grace, using its inspiration to improve morale. Cherokee lyrics were written for the song, and the song has become a sort of anthem for the Cherokee people. The Cherokees who removed initially settled near Tahlequah, Oklahoma. The political turmoil resulting from the Treaty of New Echota and the Trail of Tears led to the assassinations of Major Ridge, John Ridge, and Elias Boudinot; of the leaders of the Treaty Party, only Stand Watie eluded his assassins. The population of the Cherokee Nation eventually rebounded, and today the Cherokees are the largest American Indian group in the United States. There were some exceptions to removal. Perhaps 1,000 Cherokees evaded the U.S. soldiers and lived off the land in Georgia and other states. Those Cherokees who lived on private, individually owned lands (rather than communally owned tribal land) were not subject to removal. 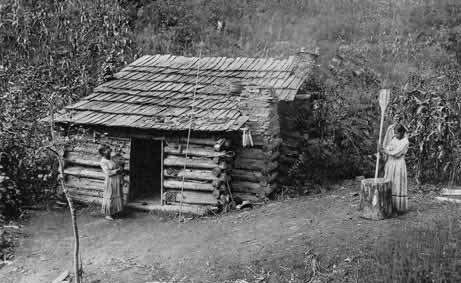 In North Carolina, about 400 Cherokees lived on land in the Great Smoky Mountains owned by a white man named William Holland Thomas (who had been adopted by Cherokees as a boy), and were thus not subject to removal. These North Carolina Cherokees became the Eastern Band Cherokee of today. Researchers have found that environmental stressors - from the Trail of Tears to the Civil War - led to significant changes in the shape of skulls in the eastern and western bands of the Cherokee people. The findings highlight the role of environmental factors in shaping our physical characteristics.